I have been busy in dealing with work, school, and a personal project of mine in the past month; thus, I have been neglecting my blog, but I will get back to my regular blogging in two weeks after I'm done with my summer class. I want to share with everyone something interesting I saw today from the list of Del.icio.us's Popular sites. 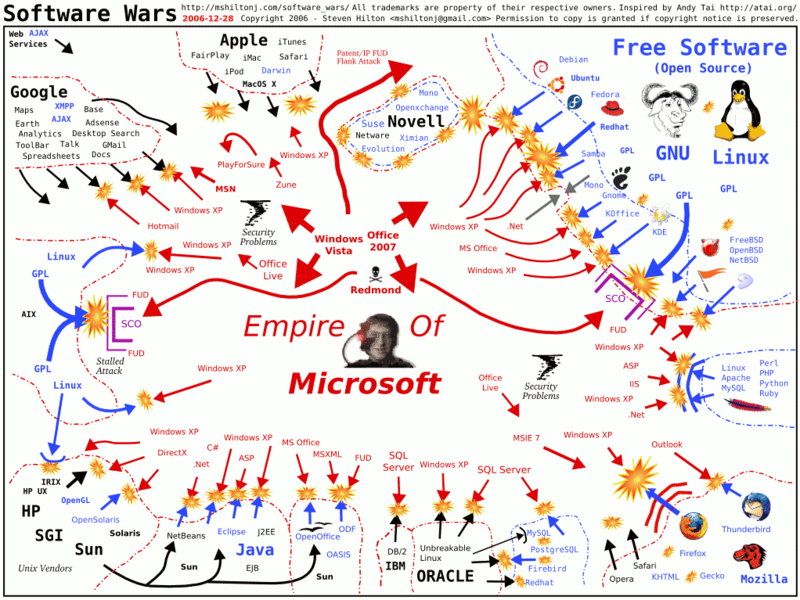 I feel bad for Microsoft being the Empire that it is and having to deal all this rivalry. What do you think?